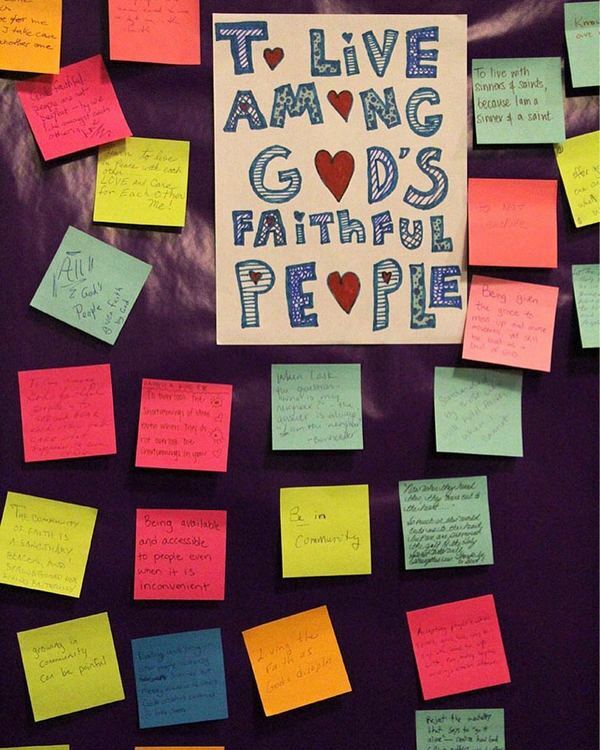 Our Wednesday Evening Worship services during Lent kicked off last week with a reflection on what it means "to live among God's faithful people." Cassie Hartnett shared a charming, poignant reflection on living in community, based on her experience living in an "intentional living" house in Minneapolis while working for Lutheran Volunteer Corp. In addition, those present shared some post-it-sized reflections of their own. Take a look a few people's reflections close-up on our Facebook page. We are excited to announce that on Sunday, February 26 the congregation of Advent Lutheran Church voted overwhelmingly to extend a call as Senior to Pastor Danielle Miller. Later that week, we received her letter of acceptance! Pastor Miller will remain with her current congregation through Easter. Her first Sunday at Advent will be Sunday, May 14. Read the brief biographical information that was shared at church last weekend, and in last week's e-letter here. Come eat chili with us this Sunday, March 19 right after 11am worship in the basement fellowship hall! We just need you to eat a lot of chili, and vote on your favorite. If you'd like to make chili to enter, you can still sign up this week. All you need to bring are your chili, a ladle, and a creative name for your chili. Sign up here, and our Chili Cook-Off Organizers will be in touch with any further details. Three unique devotional tools to help you do Lent each day, at home or anywhere. On immigration and refugees | From ELCA Advocacy and AMMPARO (Accompanying Migrant Minors with Protection, Advocacy, Representation and Opportunities), we give you the "I Was A Stranger" challenge devotional, featuring a Bible-passage-a-day conveniently printed on a bookmark. The "challenge," AMMPARO states, is to read each day's Bible verse each day, invite someone who has a different perspective or experience than you to do the same, and then discuss. Click here to download this devotional bookmark. 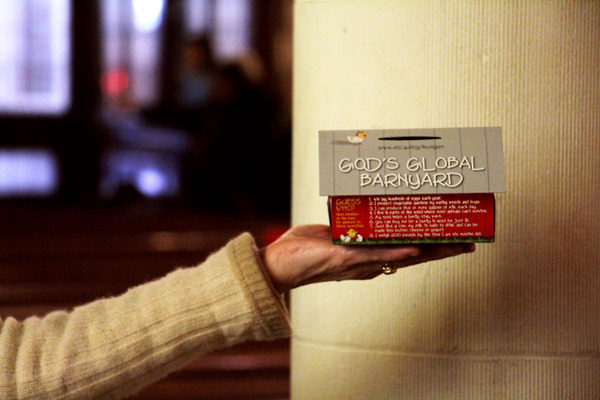 On hunger | From ELCA World Hunger comes their annual "40 Days of Giving" Lenten devotional. This devotional is packed full with information, visuals, stories, reflections, and scripture about hunger. Click here to download this devotional. Stories of Grace | As an outgrowth of our Prayer Ministry, Kathy Carpenter is collecting stories of "a time you received a totally unexpected, unearned, unasked-for, undeserved gift of grace." Stories will be shared regularly by email through the Prayer Ministry group. If you'd like to share a story, or be added the Prayer Ministry email group and receive stories throughout Lent, email Kathy at kathc89@gmail.com. On Sunday, March 26, we're holding informational sessions about Ministry Scheduler, our central online system for coordinating volunteers in many of our ministries. Whether you are already a volunteer and want to understand the system better, or are interested in learning how to serve in worship or another ministry at Advent, this session will equip you to be a volunteering pro. Join us at one of our two sessions, after 9am worship and 11am worship, on Sunday, March 26 in the basement fellowship hall. Adult Conversation | Meets at 10:10am in the sanctuary. This Sunday's topic is "Travels in China" led by Avis Alexander.